There is no single test to make a diagnosis of rheumatoid arthritis. Doctors use a combination of your symptoms, physical examination findings, blood tests and X-rays to diagnose the condition. The doctor will talk to you about how your symptoms started, which joints are affected and what makes your symptoms better or worse. They will also examine the joints to look for signs of swelling, heat, pain or loss of function in the joints. 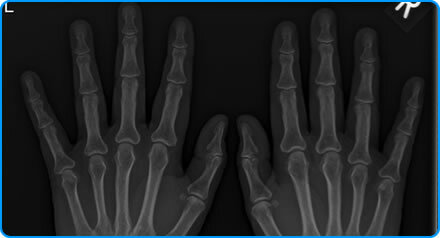 If your GP suspects a diagnosis of Rheumatoid Arthritis then you will be referred to a Rheumatology doctor for further assessment and treatment.